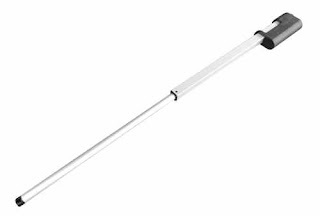 Linear actuators come in many different stroke lengths to suit a variety of needs. That said, you may find yourself needing to customize your linear actuator by reducing the stroke. Usually, the simplest and fastest way to achieve this is by installing a linear actuator limit switch kit. What is a linear actuator limit switch kit? By default, many linear actuators have a means to either stop the actuator when it reaches its end of stroke, or prevent it from damaging itself. The most common ways of accomplishing this are by adding stall protection, to prevent the device from trying to push against its end-limit until it burns itself out, or an internal limit switch. On devices with limit switches, the moving mechanism within the actuator physically contacts a switch within the actuator that cuts power to the device. Some larger actuators have adjustable end limit switches. With Actuonix devices, the tiny size of the actuator makes this impossible. This is where an external limit switch kit comes in. 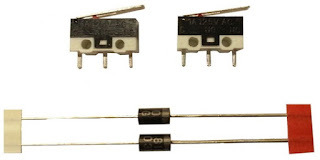 A limit switch kit is a set of two simple switches that when wired into your actuator's control circuit, replace the function of the internal switches. This kit is mounted externally and requires that the moving part of your mechanism actually makes contact with the switch on the retraction and/or extension strokes. It can be the rod or block of the actuator itself, or any moving part of your mechanism that contacts the switch, your choice. Using one of these kits, you can customize the stroke of your actuator to whatever you want below the maximum, factory stroke of your device. How do limit switches work? External limit switches are used to break an electrical circuit when activated. Our limit switches have a sprung bar that when depressed, breaks the electrical connection that is driving the actuator, causing it to stop. Using a diode in the circuit allows the actuator to move in the opposite direction. There are many different types of limit switches out there in a variety of sizes to accommodate everything from micro linear actuators to heavy duty linear actuators. Which actuators are compatible with a limit switch kit? You can install limit switches on any -S or -P Actuonix linear actuator. The -P series does not have internal switches, instead it has stall protection when used with the LAC board. This means that if you're not using it with an LAC it's possible to burn the device out if you run it to it's end limit and continue to apply power. If you're planning on using a -P actuator without an LAC, it's a good idea to use a limit switch kit as well to avoid damaging the actuator. All you need to do is simply wire the limit switches into your control circuit following the wiring diagram below. Installing an external limit switch kit is a cheap and easy way to build a custom linear motion solution that meets your exact needs. Our kit comes with almost everything that you will need to install your kit including two switches and diodes. Have a question? Feel free to reach out to our sales team. We are in the office Monday through Friday from 7:30am to 2:30pm Pacific Standard Time excluding Canadian and provincial holidays. If you leave a message or email outside of those hours we will get back to you the next business day. Looking for a high speed miniature linear actuator for your next project or product? Look no further than our P16 and T16 lines. These devices are commonly used in applications that require a balance of speed and force. What are high speed linear actuators? To say that something is 'high speed' is of course, completely relative. What's considered fast will vary from person to person. The fastest-moving actuators that we offer are the P16 and T16 lines in a 22:1 gear ratio. Unloaded, they move at 46mm/s. The max force on those units is an impressive 11lbs. Not bad for units that weight less than 150 grams. When you're driving a function on a piece of furniture, cabinetry or other home automation device, you probably don't want to wait too long for results. Fast actuators are often required in quick-moving robotics projects. Check out the zapper arm on Doug's R2D2 droid. It's driven by a high speed T16 actuator. And much more, you get the point. When it comes to automation, there's really aren't limits anymore to what you can do to make your car or motorcycle your own. Our high speed linear actuators can help you make it happen. Typically higher cycle life. The DC motor within a linear actuator is often the first item to fail. A faster actuator makes the stroke in a shorter time. This means that all things being equal, a fast actuator will end up doing more actuations in its lifetime than a slow unit. Get the job done fast. For most applications, there's really no reason to use a slow actuator. Unless your specific project requires slow movement or you need higher force, fast actuators are just more time-efficient. There's not many. The main thing is that you're not going to be able to move as much weight. With screw drive actuators, there's always a trade off between force and speed. With faster units, they just can't exert as much force as the slower ones. Our high speed actuators are carefully engineered by our in-house, Canadian engineering team to provide reliable, smooth actuations over a long life span. The main difference between our P16 and T16 lines of fast actuators, as compared to our other units, is the side by side motor and gearbox design. This results in the motor and gearbox compartment being larger than you will find in our other units, but results in a longer-lasting, more powerful device. Definitely a worthwhile tradeoff if you can spare the extra space in your design. Other than the motor and gearbox design, the P16 actuators are similar to our L12 and L16 units. They use the same shaft and drive nut, as well as two of the same input types (-P and -S). They also use the same clevis end-tip so if you have designed a custom tip, it will be easily interchangeable. Our high speed linear actuators come with your choice of two control types: -P series and -S series. These are compatible with a wide variety of control systems that we offer on our site. Our -S series actuators are simple, 2-wire devices that are controlled by reversing polarity on the leads. All of our P16 and T16 lines are 12V input (we do have 6V actuators in the L12, L16 and PQ12 lines). You can control the -S series with a DPDT switch or button such as the ones you will find in the 'Control Boards, Switches and Potentiometers' section on our site. They also work with our wireless actuator remote control system as well as our timer relay. You can also control them directly from a 12V battery using alligator clips or directly from a 12V power supply. This is definitely the simplest device to use and is suitable for most projects. The -S series has internal end of stroke limit switches. It will stop on it's own when it reaches its end of stroke. If you want to reduce your stroke length, you can add an external limit switch as seen in this video. Our -P series actuator does not have end of limit switches. It does however, have position feedback. These are best suited to applications where you want to remotely control an actuator while monitoring it's position. You can also add an external limit switch kit to a -P actuator to have the best of both worlds. There is a control option here to suit any need. When used with an LAC board, it's super simple to use a high-speed -P series actuator in an RC project. Unlike our competitors, we throw an actuator mounting kit in with every single device that we sell. That means, if you buy 20 actuators, you will receive 20 mounting kits. This takes away the hassle of trying to figure out how to properly and securely mount a high speed actuator to your project. Though our mounting kit may not be suitable for every application, it's a great starting point for designing your own custom mounting option that will cost you nothing. Our competitors charge almost $10 extra for a mounting kit (that doesn't have as much hardware). That's not how we roll. 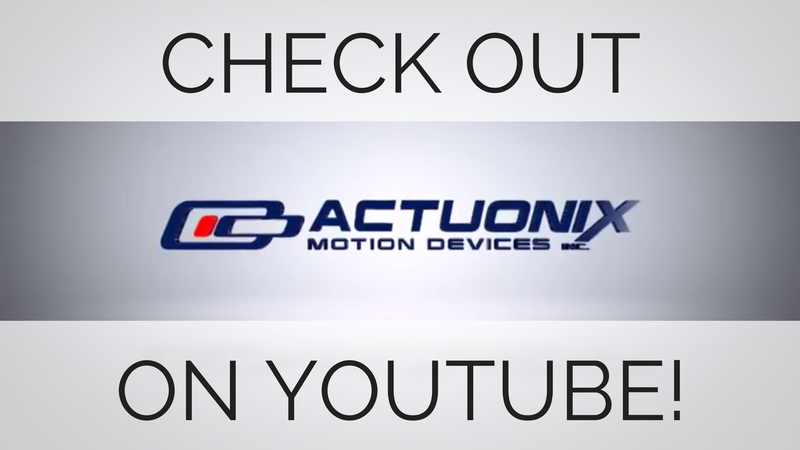 You buy a high speed linear actuator from Actuonix, you're going to get everything you need to get it mounted up in the package. There are other customizations that we can perform as well. If you think that a custom actuator might be the best option for your business, give us a shout, we'd be happy to tell you about our customization options and lead times. Minimum order quantities apply. 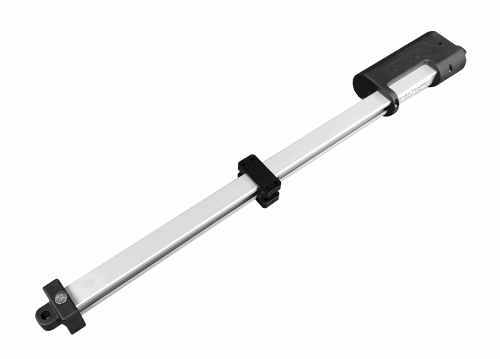 Our high speed linear actuators offer an amazing 46mm/s of max unloaded speed in a tiny form factor. With strokes of 50mm, 100mm, 150mm, 200mm and 300mm, we offer a truly unique product that's unlike anything else on the market. How much do high speed linear actuators cost? All of our actuators, including our high speed units, cost less than $100USD. We strive to offer the best selection of products available anywhere, at a price that's affordable for OEMs and hobbyists alike. We do offer volume discounts starting at just 10 units. Contact us for more details.